Despite the diet changes, handfuls of supplements and stress management techniques, I still couldn’t shake the excruciating pain with my periods. I also continued to struggle with infertility. I’d been pregnant a few times, but the new life didn’t stick. My intuition hinted that there were bigger blocks present. This was accentuated as chakras and energy flow entered my vocabulary. I hadn’t considered the role of energy before. I’d spent years addressing the physical part of my being, but I’d only touched the surface of my energetic “body”, or the greater spiritual part of my Self. 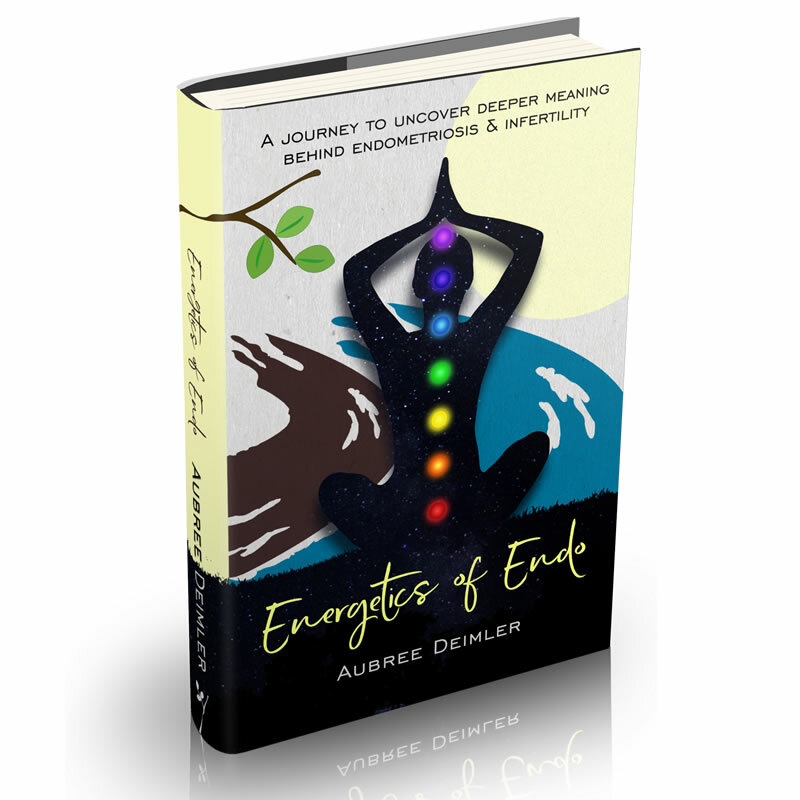 Energetics of Endo captures the story along the way, with encouragement for you to become more aware and dig deeper into the emotional components of your life with endometriosis and/or infertility. Through the act of mirroring my story, you can start to discover your own triggers, and meaning behind your personal experiences. You’ll come away with clear action steps you can take so that you can get started on your own journey of exploration into the energetics of endo and find peace with endo. ⬇️ Order an autographed copy below.